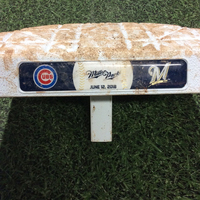 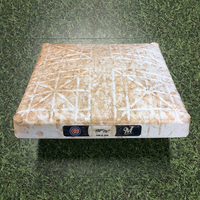 You are bidding on a Game-Used 1st Base from the game between the Milwaukee Brewers and Chicago Cubs on June 12, 2018. 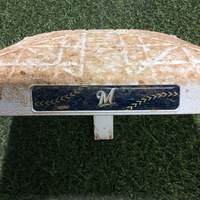 This base was used during innings 1-9 and saw the Brewers escape one of the most memorable rundown plays of the 2018 season in which Lorenzo Cain's heads-up baserunner allowed he and Christian Yelich to remain safe at first and second base after Cain's infield groundball. Travis Shaw hit two, two-run doubles to provide the only offense of the game, as the Brewers won 4-0. 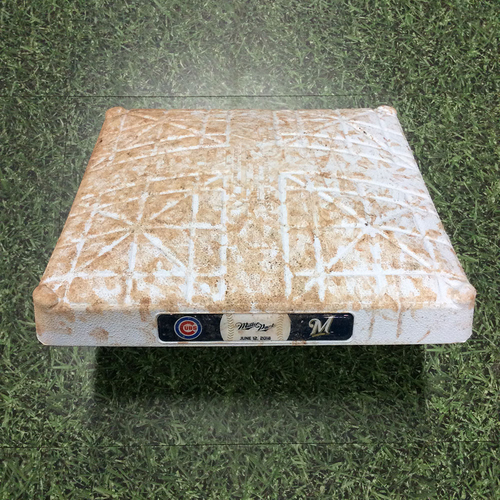 This base is authenticated with a MLB hologram sticker.